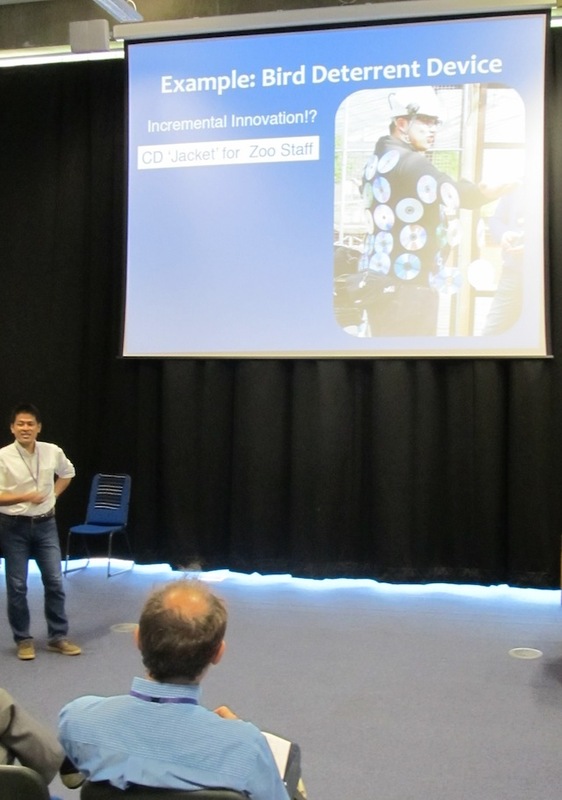 This summer I’m making two trips to England to speak about open innovation. The first is for next week’s Open and User Innovation Workshop being hosted at the University of Brighton. Not listed is Bath’s newest faculty member, widely cited OI scholar Ammon Salter, who joins the school this fall. We invite submissions that relate to the adoption of open innovation (OI) practices and their implications for strategic development. This may include (non-exclusively or non-exhaustively): adjustments in managerial mindsets, the creation of new resources, the development of new or adjustment of existing capabilities, the creation of new business models, structures and strategies for OI. To signal your interest, please send a summary of your idea and how it contributes to the workshop theme in no more than 500 words. A maximum of 30 submissions will be selected for discussion at the workshop. Submissions are due July 28 (US time). See the call for proposals for more details. Those who follow elsewhere on the OpenInnovation.net website will have seen last week’s article announcing results of the 2013 executive survey on open innovation. But for those who didn’t — or who didn’t open the report — I thought I’d summarize a few highlights. The 40-page report is entitled “Managing Open Innovation in Large Firms.” It was co-authored by Henry Chesbrough (faculty director of the Garwood Center for Corporate Innovation) and Sabine Brunswicker (Head of Open Innovation at the Fraunhofer Institute for Industrial Engineering. It is available for a free download at the Berkeley website. 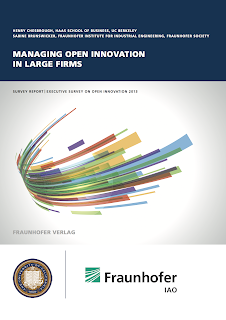 The goal of the study was to understand the nature and degree of firms support for open innovation. Who did they study? To perform the first quantitative study on open innovation in large firms we emailed our survey on open innovation to senior executives at the headquarters of more than 2,840 large and stock market listed firms. Our sample included all large companies in Europe and US, with revenues annually in excess of US$ 250 million and more than 1,000 employees. This sampling frame was drawn to fill a gap as there is no quantitative study on open innovation in very large firms. We received usable survey responses from 125 firms in November and December 2012. 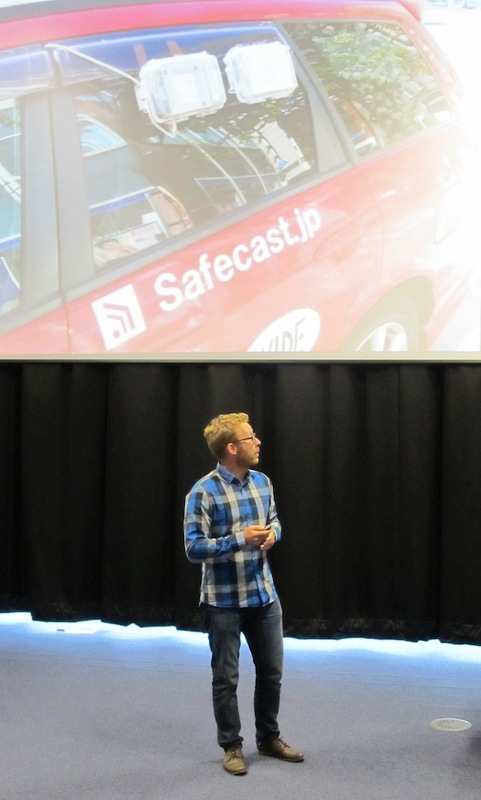 We sent the survey to at least one contact person at the company headquarters. Our primary contact was the Chief Executive Officer or the Chief Operations Officer. We also sent our survey to the Chief Technology Officer or a senior executive responsible for strategy or business development (e.g. VP Strategy or Business Development) if contact details were available. The responses were overweighed for manufacturing and European companies but were representative in terms of size and age. While I recommend the full report to everyone (it’s free! ), a few findings caught my eye. First (p.6) was the degree of OI adoption, which averaged 78% across the entire sample. Within manufacturing, high-tech firms were the highest (90.91%) and low-tech manufacturing was the lowest (40%) among all the industry categories, with two other categories (“medium-high-tech” and “medium-low-tech”) in between. Other than low-tech manufacturing, the only below average industries were financial services (including real estate and insurance) and transportation/utilities. Firms are more likely to receive freely revealed information from outside participants than they are to provide it to others. In other words, large firms are net “takers” of such freely revealed information. Finally, the strategic objectives for using external partners (p.18) emphasized new technologies, partners and opportunities over reducing R&D costs. I have been quite pessimistic about the impact of inbound OI on internal R&D — based on a few anecdotal announcements by US and Japanese companies — but apparently this is not widespread (at least among this sample). Other aspects of the study examine the internal organization of open innovation within firms (Chapter 5) and how firms measure the impact of open innovation (Chapter 6). Both chapters suggest other opportunities for future research. UCLA is trying a new approach to licensing its IP, using an external 501(c)(3). The plan is stirring up considerable controversy. The primary mission of Newco and its Board will be to: (i) improve UCLA’s rate of invention disclosures per year; (ii) increase UCLA’s volume of patent applications per year; (iii) increase the overall flow of licensing royalties back to UCLA; and (iv) better position UCLA to win large, multi-year ISR contracts. This improved performance will not only benefit UCLA, but the surrounding community and the public at large. In comparison to its peers at other universities, UCLA OIP-ISR has historically underperformed in the areas of technology transfer and ISR. UCLA believes this underperformance has not been caused by a lack of productivity among UCLA faculty or a deficiency in UCLA scholarship, but rather due to deficiencies in the current process of managing IP and ISR at UCLA. In a unanimous vote last month, the Regents of the University of California created a corporate entity that, if spread to all UC campuses as some regents envision, promises to further privatize scientific research produced by taxpayer-funded laboratories. There are so many problems with the article, it’s hard to know where to start. The new plan would change what patents get filed and licensed for the UCLA medical center. It won’t be privatizing the research: the same research will be done, and it would still be licensed to firms. The UC has been licensing IP to businesses for decades. Patents get licensed because it generates money, because it gets the technology into society’s hands, and because (after Bayh-Dole) it’s the law. Without Herb Boyer of UCSF (and Stan Cohen of Stanford) and their famous patent, there would be no recombinant DNA, no gene splicing, no Genentech. The new plan for UCLA will decide differently which patents to prosecute (file) and license. An unpaid external board — the volunteer directors of Newco — will decide which ones to pursue and which ones not to. In the whole pipeline of developing and commercializing university research, the plan only changes the final few steps. (As far as I can tell, it doesn’t change the pricing of licenses nor the allocation of royalties to inventors and places within the university). The exposé suggests that the plan parallels the University of Washington’s “Center for Commercialization,” but I can’t get enough info on either one to tell for sure. Certainly other schools have tried drastic measures in hopes of making their tech transfer more entrepreneurial. I’m not sure what’s wrong with UCLA. According to the UC tech transfer FY2011-2012 annual report, Berkeley (no surprise) leads the pack, but by various measures UCLA, UCSD and UCSF all seem to be comparable. In some years, UCR does much better than some of the other UC campuses — perhaps owing to its century-long history as an agricultural research station. However, in looking into the proposal, the proponents point to a March 2011 study “An Ecosystem for Entrepreneurs at UCLA,” written by the oft-cited Bill Ouchi, who in recent years has focused his efforts on changing troubled organizations. Based on 17 universities and benchmarking against 16 universities, UCLA was neither the best nor the worse. It holds up Columbia as a role model, because it can generate $154 million in licensing income off research expenditures of $604 million. In terms of license revenue per research dollar, Columbia is 9x as effective as UCLA. Some of the plan seems unrealistic: it calls for “setting the national standard in technology transfer” : not everyone can be above average, not even at Lake Wobegon High. Private schools are inherently less bureaucratic and (best case) more entrepreneurial. Regressing to the mean of UC ratios is probably more realistic than matching Columbia’s results (assuming Columbia has topped the customary pillars of tech licensing — MIT and Stanford). Still, as an experiment it seems like a worthwhile one. The plan calls for a performance evaluation after two years and every five years thereafter. It would be worth trying this experiment elsewhere (e.g. with Berkeley or UCSD’s engineering school) but not making it UC-wide for all colleges until it has passed at least two outside evaluations.